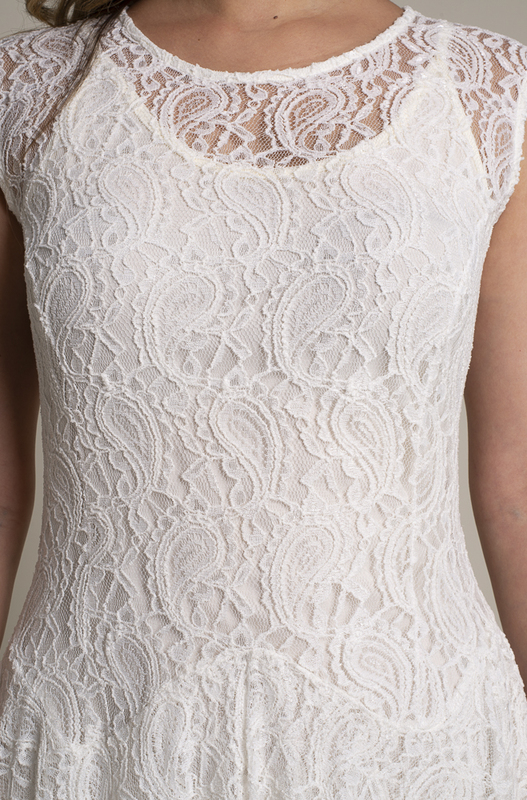 Western Wedding Lace Outfit has a Bohemian touch to it and is perfect for a modern day bride. This elegant Western Wedding Lace Outfit can be worn in many ways right after the wedding. The long handkerchief Hem Lace Dress can be work with Denim jackets or one of our Western Wear Shawls. The Western Wedding Wear Bolero can be worm with one of broomstick skirts or our signature gaucho pants. This lovely Sleeveless Dress has its own separate lining. 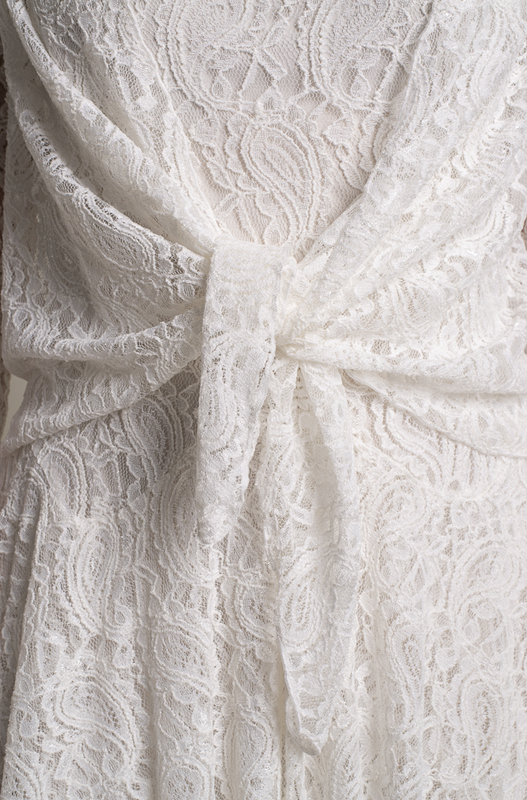 This Handkerchief Hem Lace Ivory Dress is princess-seamed and double-layered down to the lettuce edged. The beauty and the workmanship of this exquisite dress is just superb! This Western Wedding Tie Front Lace Bolero Cover-up is a perfect match to our Handkerchief Hem Lace Dress whenever a little extra coverage is needed.